Step into the spotlight & play along with the superb backing tracks on the specially recorded CD. 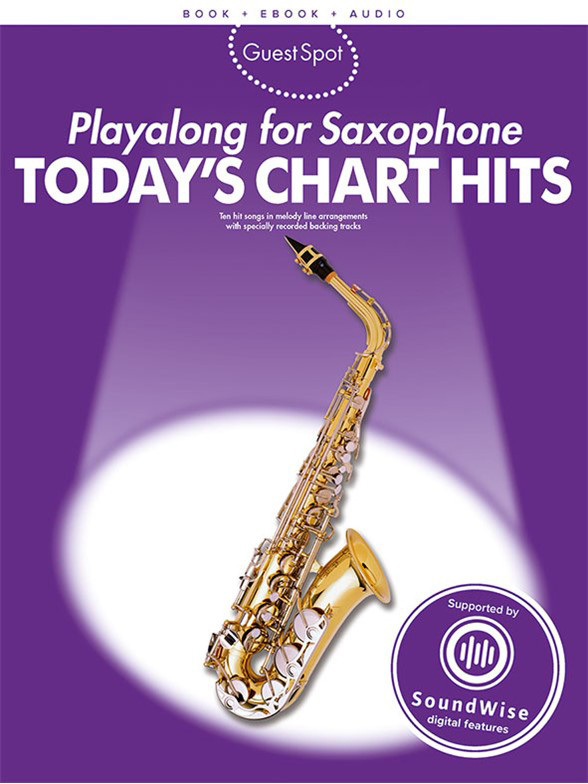 Guest Spot Todays Chart Hits features ten of todays hits arranged for alto saxophone. The sheet music to - Apologize (OneRepublic); Chasing Pavements (Adele); The Fear (Lily Allen); Hallelujah (Alexandra Burke); Human (The Killers); If I Were a Boy (Beyonce); Rule the World (Take That); Run (Leona Lewis); Viva La Vida (Coldplay); Warwick Avenue (Duffy).